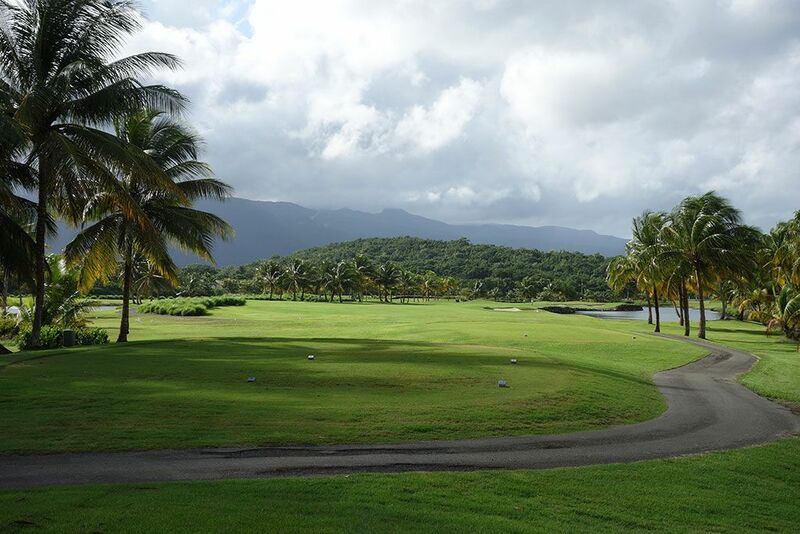 Course Website: Official Website - Visit Coco Beach Golf and CC (Championship)'s official website by clicking on the link provided. 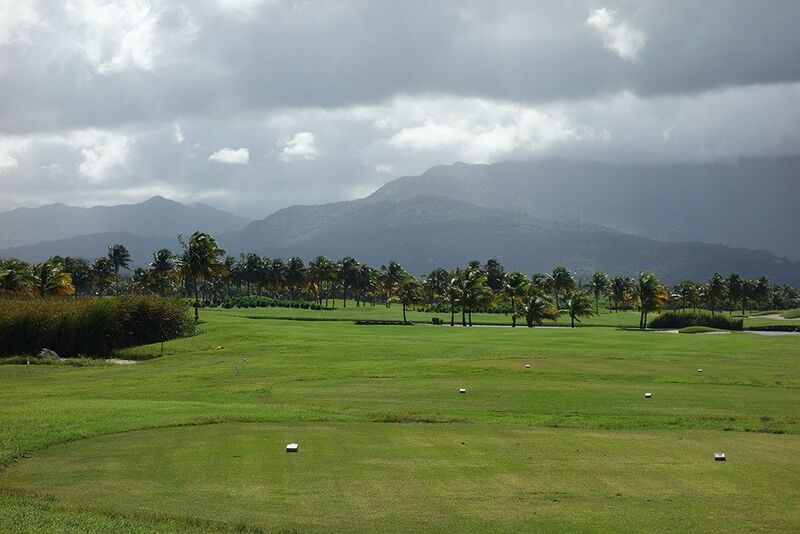 Accolades: Ranked 4th in Puerto Rico by Golf Course Gurus. What to Expect: Formerly known at Trump International Puerto Rico, Coco Beach was never owned by Donald Trump at all. 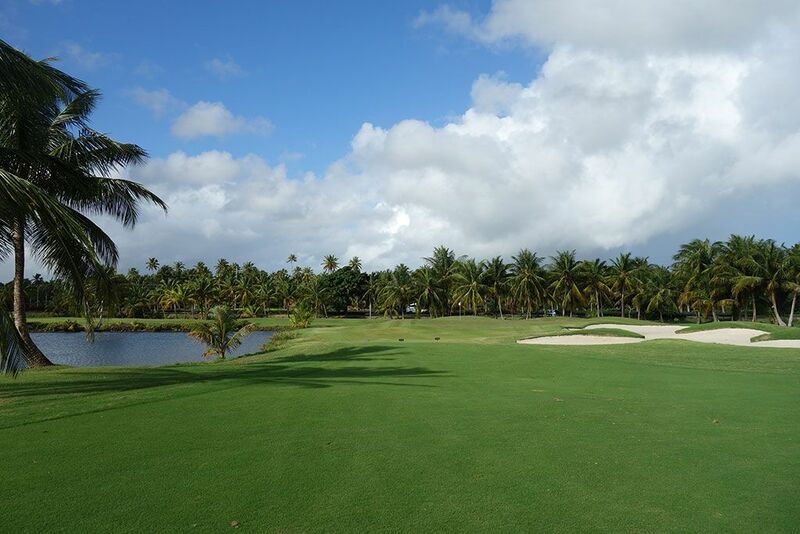 The former owners elected to lease the Donald's name brand in hopes of bringing recognition to this 36 hole facility located on the north shore of Puerto Rico 20 minutes east of San Juan. 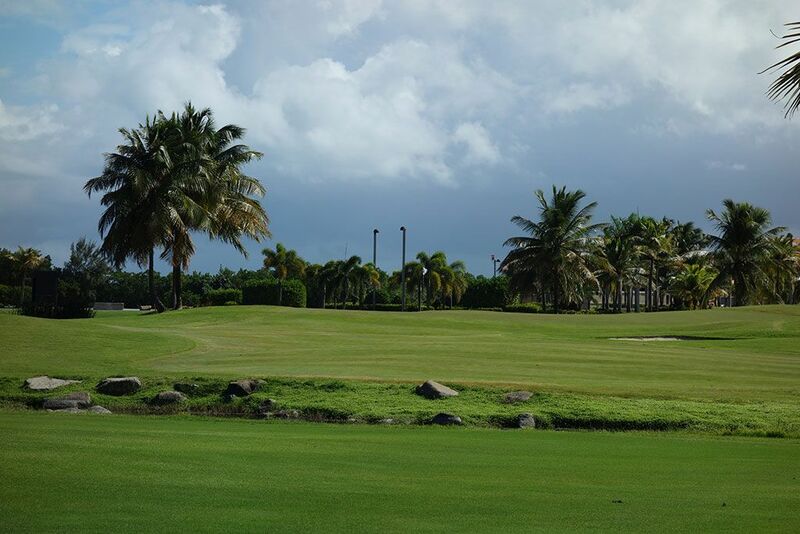 The facility maintains some of the best playing conditions on the island though it isn't quite maintained at the elite level many upper-end mainland resorts are able to produce. The terrain is very flat which makes it plenty walkable although the unusual routing produces awkward and sometimes lengthy transitions from green to tee. 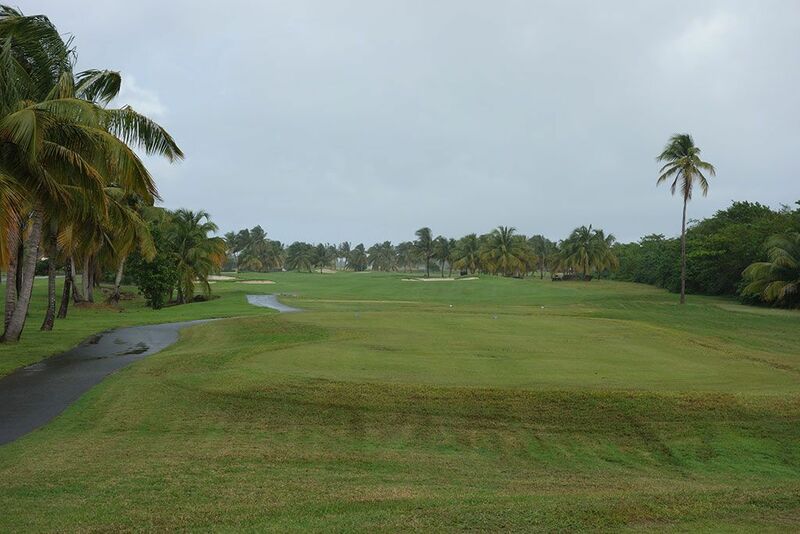 The fairways are framed with palm trees with handful of water hazards to contend with along the way and the greens are generous in size. Numerous bunkers are found on each hole to help give character to the otherwise uninspiring terrain. 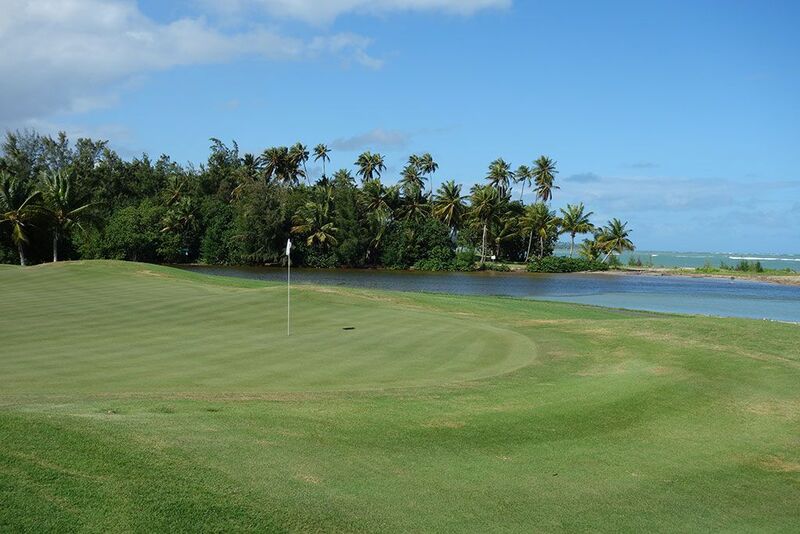 The best view on the course comes at the 12th hole where the ocean and beach act as a backdrop to the green. A small ocean inlet obscurely comes into view to the right of the 16th green before the routing takes players back towards the clubhouse. Though the course, consisting of the Palms and Mountain nines, tips out over 7500 yards the playing widths are generous enough that players can reach back and comfortably take a rip with their driver on most holes with the most penal hazard being the large grass bushes found throughout the routing that are so dense they gobble up balls with little chance of retrieval. Iguanas are frequent visitors in the rough and occasionally take a dip in the water hazards. In the end, I would prefer more ocean views and a better routing on a course located so close to the coast, but at least the individual holes have enough character to keep your attention. Signature Hole: 12th Hole – 465 Yard Par 4 – The most scenic location at Coco Beach is the greensite of this challenging par four that plays back into the wind. 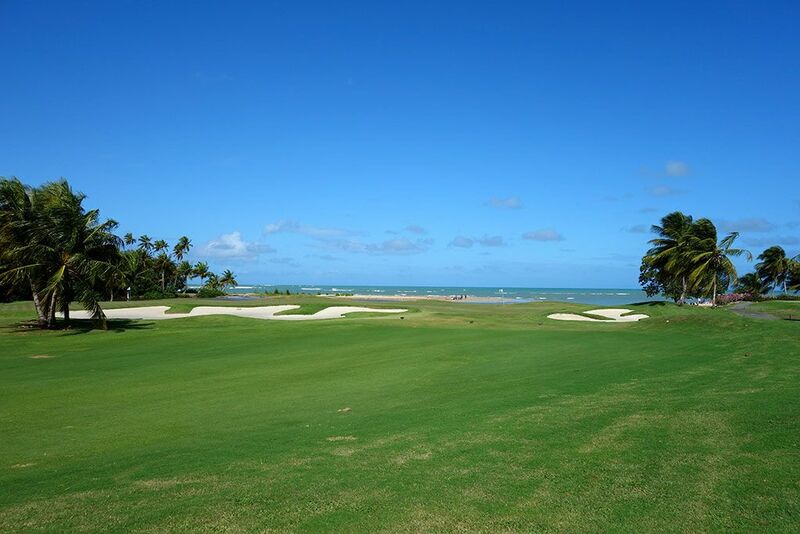 In fact, PGA Tour player and former BYU Cougar Zac Blair was impressed enough that he tweeted out a photo of this greensite during his 2017 practice round before the Puerto Rico Open. With the wind uninhibited at this location, the 12th green can be the toughest green in regulation all day at Coco Beach. Best Par 3: 8th Hole – 236 Yards – The final par three on the front nine is a stout test that tips out at 236 yards with bunkering coming into play on each side of the green and a pond on the left waiting to sink your ball and score. The palm trees that create the distant backdrop are a nice reminder that you are in a tropical location enjoying a nice escape from reality. Best Par 4: 13th Hole – 416 Yards – The dogleg left 13th features a bunker straight away on the far side of the fairway before banking left over a creek to the greensite. With trees and trouble on the inside of the dogleg, it doesn't pay to try and cut the corner here but a nice draw can yield its benefits. Best Par 5: 15th Hole – 600 Yards – A true three shot hole for 99% of mortals, the 15th offers no shortcuts on getting home. In fact, players that think they can shave a few yards off by going up the right side will be faced with a forced carry over a large waste bunker dotted with ball eating bushes. Be patient here and don't try to do too much on any given shot and par can be yours. Birdie Time: 3rd Hole – 386 Yard Par 4 – A short par four that gets shorter when you are afforded the wind at your back. Though water is found on the left side up towards the green, the driving zone is wide enough that you can cut loose on your driver and set yourself up for a a wedge shot into this green. 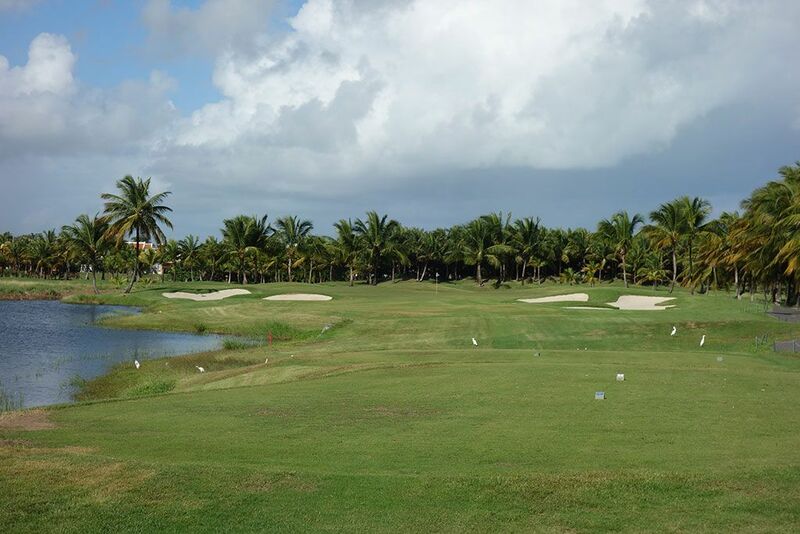 A course of Coco Beach's length doesn't offer a lot of gimmies so you'll want to take advantage of the course softening up here. Bogey Beware: 4th Hole – 455 Yard Par 4 – Trouble looms on the challenging 4th hole with water found left and right of the fairway near the driving zone. Water continues up the right side and wraps around the back of the green while a large bunker fronts it. Demanding from start to finish, any lapse in concentration here will surely result in a bogey.